Floating Around in The Air?....There is Hope! Pollen, a very common allergen, is the cause of "seasonal allergic rhinitis" or "hay fever". During the seasons when plants are pollinating, people who are sensitive will develop allergic reactions. The hay fever season can be a different time of year for different people. This is because trees, grasses, and weeds produce pollens during different seasons. Symptoms from pollen allergies include a stuffy and watery nose, redness, swelling and itching of the eyes, and itching of the ears. By avoiding substances that cause reactions, it is possible to control hay fever. You can still enjoy times of high pollenation by using a few simple precautions. 1. Keep windows closed and run the air conditioner. 2. Clean or replace air conditioner filters. 3. Avoid exercising outdoors especially during the early morning hours when pollen counts are highest. 4. Use a clothes dryer instead of drying your clothes outdoors. 5. Take a shower and wash your hair each night. This will remove pollen, keeping it off your pillow. 6. 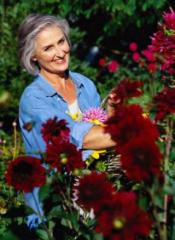 Wear a pollen and dust mask when working in the yard and garden. 7. Keep the landscaping around your home neat and tidy as pollen and mold will accumulate on weeds and other debris. 8. Clean your furnace and air vent system; place window filter screens on all windows to allow fresh filtered air into your home. If you have any questions or concerns about pollen allergies, you can call us now at 682-9483 or request an online cleaning quote!